Purity Ring laid on the mystique early for Shrines. With the 2011 online release of three ubiquitous singles- “Ungirthed”, “Lofticries”, and “Belispeak”- the level of buzz surrounding the pop duo had reached an almost procedural level. 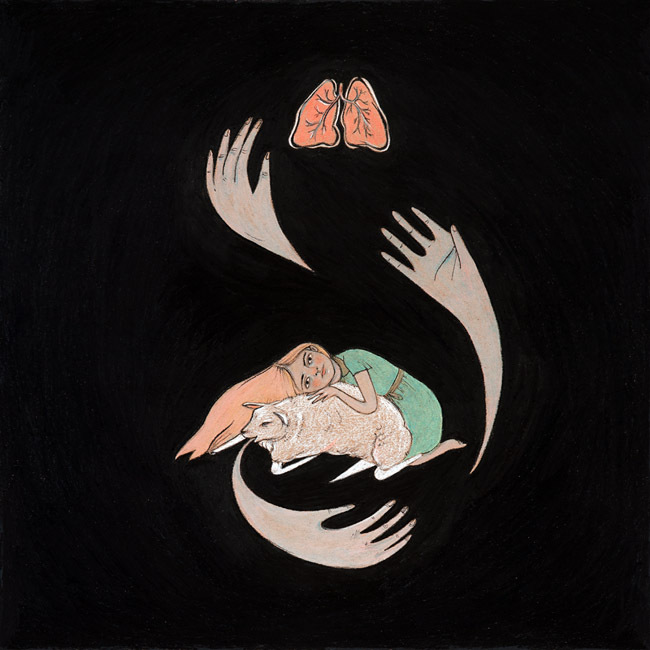 Now, over a year later, comes the inevitable release of Shrines and it’s a testament to the craftsmanship of Purity Ring that this imminent hooplah somehow dodged any hint of anticlimax. Instead, here we are, with a thirty-eight minute collection of sumptiously dazzling synthpop. In terms of sound, Grimes leaps immediately to mind- as does Fever Ray, Austra, and countless other electronic brethren. If the singles from 2011 set your world afire, Purity Ring only pours on the gasoline with heavier doses of warped vocals, skittering percusssion and a now signature sugar-laden synthetic edge. And while Shrines drapes comfortably around those earlier tunes, it manages to expand the Purity Ring universe without ever threatening to stray from their infectious first impression. That said- last summer, if “Ungirthed”, etc left you cold, this offers almost nothing new in terms of sound- simply variations, both relentless and irresistible, on the same overall theme. An initial listen to Shrines reveals an alarming lyrical depth, especially in juxtaposition with the coy innocence of Megan James’ vocals. “Sea water is flowing/ From the middle of my thighs” begins album opener “Crawlersout” establishing Purity Ring’s niche for body imagery. This theme continues in the graphic depictions within “Fineshrine” of an apparently intimate dissection- “Cut open my sternum/And pull my little ribs around you.” The tracklist is full of these lyrical Easter eggs and it’s nice to have this cushion when the album occasionally ventures into redundancy. Let’s face it- Purity Ring are obviously not trying to keep anyone off balance here. The rhythms, lo-fi beat drops, etc, while not overtly traditional, are familiar enough to become predictable and Shrines has the strongest case of “the claps” of any record in recent memory. But in lieu of surprises, Purity Ring offers the listener an experience more akin to auditory cleansing than any type of calculated formality. Shrines is an inescapable album and the best response is to probably just let it wash all over you- then, of course, listen to it again.